Erik Copes was one of the last guys on the floor you want taking a game-winning shot with little time left. However, the big man found the ball in his hands with the seconds ticking away and connected to give Mason the much needed home victory. Minutes earlier Copes had air-balled a free-throw so the Patriots were a little lucky to come away with the win in this one. Patrick Holloway was another hero as his 15 points and three-pointers helped fill the void of an off day from the starters. 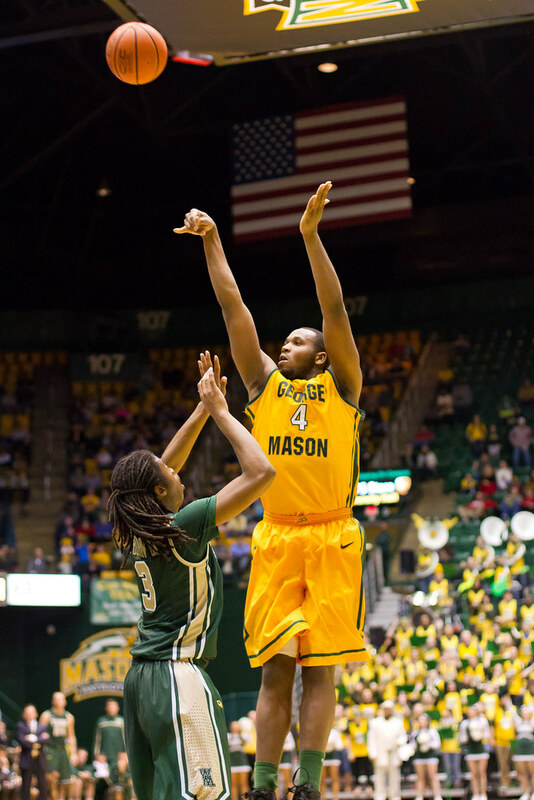 Mason had trouble all day with William and Mary's shooters and Marcus Thornton hit six three-pointers. Late the game they put Anali Okoloji on Thornton and his size seemed to give him trouble. The Tribe went cold from the perimeter and the Patriots made a big comeback. 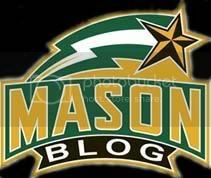 Mason avoided losing four straight home games for the first time since 1995. They now have a chance to continue this momentum onto the CAA tournament. They also now have a chance to grab the more ideal spot in bracket in that 2 versus 3 game. It was very encouraging to see them come back when they essentially looked dead in the water during parts of the second half. It would have been better to watch them do a better job against the Tribe's perimeter shooting attack but they still found a way to win. Bryon Allen getting to the line played a big role since Sherrod Wright had a bad day shooting from the field. Big difference between this game and the Georgia State one was that they made an adjustment and didn't give up in the second half. A game like this one is similar to what will happen in the CAA tournament and a lot times who wants it more is what decides the outcome. That's a game where the players won it on sheer will. Its been a rough season and there are lots of questions, but one thing that has never been questioned is the players effort. Those guys bring their best effort every game. Real quick question, I know Wright had 30 mins per stat sheet, but Coach seems to be sitting him a lot lately in critical spots or a lot of the second half. Does his lack of defense contribute to this? What are the thoughts? His output has been way down of late. I think sticking with the hot hand proved to be very worthwhile. Once Holloway gets going its important. What also is good is the fact that Anali got some critical minutes. While he committed dumb fouls and got beat on their last layup, he gave Thorton a lot of trouble like you said. The block he also had was huge and gave the team a boost when they needed it. Also, can't help but give props to Eric Copes who spoke big words on Friday and showed it on Saturday..Despite his airballed free throw, he still grabbed a lot of key rebounds and showed the leadership in critical moments that this team sorely lacked. I hope someone like him becomes the leader of this team going forward. Really, really liked what I saw from Copes. He seems to be one of the only things about this team that is consistently improving from day 1. Got off to a slow start but during conference play Copes has shown improvement in every game he plays. If he ever learns how to make a real layup (so sick of that drop hook when he can just go up strong and draw the foul) watch out. I also usually criticize Anali for being non-factor in games but he did an amazing job of shutting down Thornton in the 2nd half. Thornton was basically putting it up from anywhere he wanted, but once Anali got on him he looked way more frustrated and shot long to compensate for Anali's height. Just really solid defensive play the whole time, and the offense opened up without him taking dumb shots.